To kick June off we have Global Day of Parents! The day was proclaimed by the UN General Assembly to honour parents throughout the world and emphasize the crucial role of parents in raising children, and the responsibility family has to protect and nurture children. You can find many ways to utilise this day. Maybe you acknowledge your customers who are parents for the amazing role they play or maybe you take time to acknowledge your own and how they helped shape the business person you have become. This day was created to promote the welfare of the world’s children and to ensure they are given the tools they need to not only survive but also to thrive in our society. 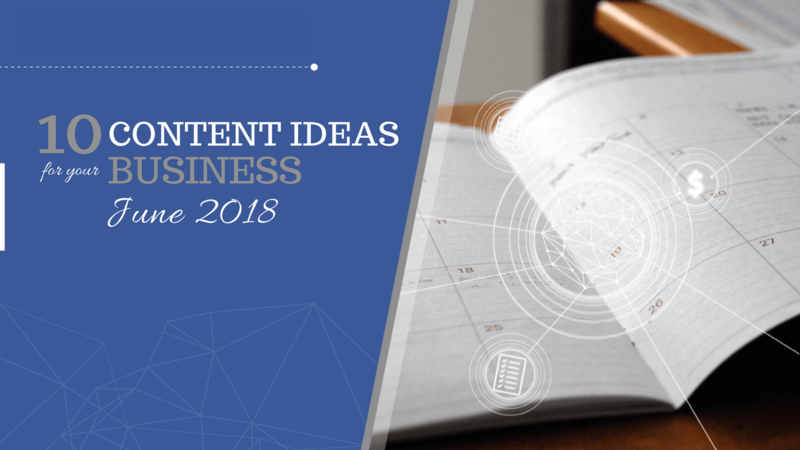 On this day you could share ideas to help parents celebrate their children or run a promotion if you have products that are related to children. There is rarely a time that it's a good idea to share cheesy cat photos or videos, unless you are a vet or sell cat products! Hug Your Cat Day is a fun day where you can probably get away with it. Especially if you have a cat! The aim of Environment Day is to promote the importance of respecting and doing your bit for the environment. Today is the day to showcase what your business does that is environmentally friendly or supports the sustainability of the planet. Or maybe you can share ideas to get your customers more environmentally conscious in their day to day life. World Oceans Day was created in 2008 by the UN. This day celebrates the ocean and the important role it plays in our lives and on the planet. What do you love most about the Ocean? Maybe you could share a photo from your morning walk along the beach or your latest water adventure. If your business has any products that are water related or ocean themed, today is the day to showcase them! The best way to celebrate World Blood Donor Day is to go out and give blood! There is always a need for blood and just a single contribution will help save lives! Post a photo of you donating to encourage others to do the same. Do you listen to music in your office while you work? Do you have a favourite band or song that inspires you? This is a great day to share that or to ask a question on social media that encourages others to talk about their favourite music. Music is something that people are super passionate about. So days like these are great for generating engagement and getting conversations started! Yoga is a physical, spiritual and mental practice that originated in India around 6,000 years ago. Yoga has taken the world by storm and is practiced by millions of people every day. It’s also incorporated in treated chronic pain, headaches, arthritis and carpal tunnel syndrome. This day is an obvious one if you are a yoga teacher or work in the area of mental health, fitness or general wellbeing. Today is a great day to remind people of the benefit of time for yourself! This is another fun day where you can share more fo the personality of your business. Take Your Dog to Work Day was developed to help restore puppies to the workplace and help people understand the human-animal bond. To celebrate take your little (or big) friend into work and snap a photo to share and encourage others to do the same and post photos of their cuddly friends too. Social media has now become a huge part of day to day life and business! There is even a day to celebrate it. The official hashtag is #socialmediaday. There are many events held around the world on this day. You could share a thank you today to the people who make up your social media communities or share one of the very clever comics, memes or videos out there about social media! 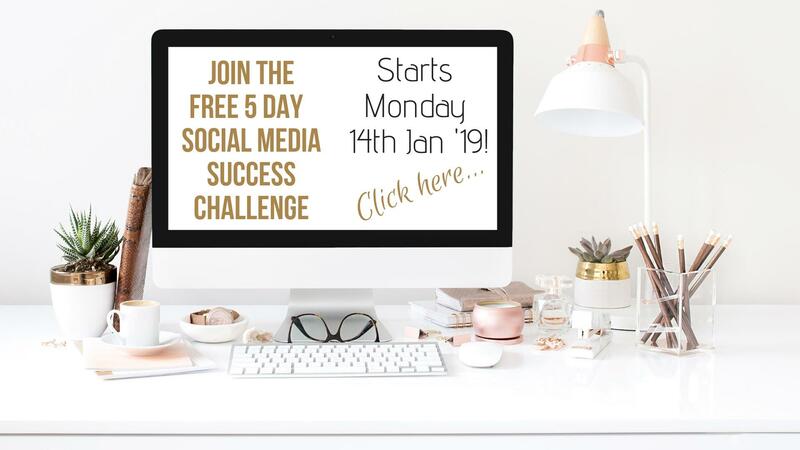 If you're struggling to get your content planned, created and posted each month, you may find monthly, Social Media Success Circle is just what you need, with a supported content sprint and loads of resources to get your social media performing.